Planned Warehouses from 41,500 - 103,750 sq. 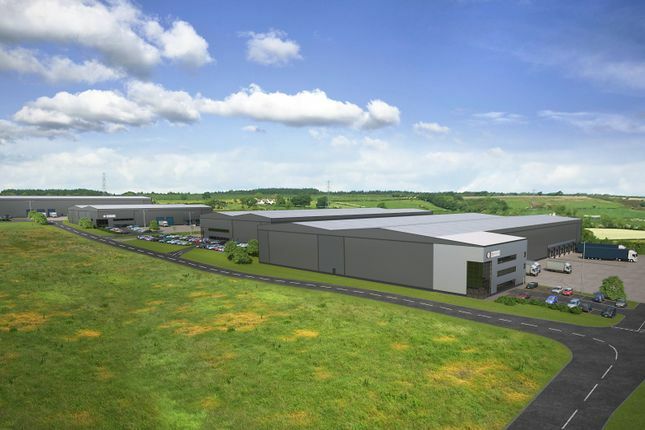 Ft.
Enterprise 36 is a prime opportunity for warehouse and industrial occupiers looking for one of the most strategically located sites along the M1 corridor. The scheme has detailed consent for the construction of four separate detached units suitable for B1, B2 and B8 Industrial/distribution uses set within a self-contained 25 acre site. Enterprise 36 is located within 1 mile of Junction 36 of the M1 Motorway providing excellent roadway access throughout the region and the UK as a whole. Approximately 1/4 of the uk’spopulation (15,270,954) are within a 2 hour drive time. There are five international airports suitied within a 1 hour drive from Enterprise 36. Property descriptions and related information displayed on this page, with the exclusion of Running Costs data, are marketing materials provided by CBRE Ltd, and do not constitute property particulars. Please contact CBRE Ltd for full details and further information. The Running Costs data displayed on this page are provided by PrimeLocation to give an indication of potential running costs based on various data sources. PrimeLocation does not warrant or accept any responsibility for the accuracy or completeness of the property descriptions, related information or Running Costs data provided here.